The Directors of Eventing Canada [!] are pleased to advise that Nathalie White is the recipient of the 2015 Heather Wellman Youth Bursary. 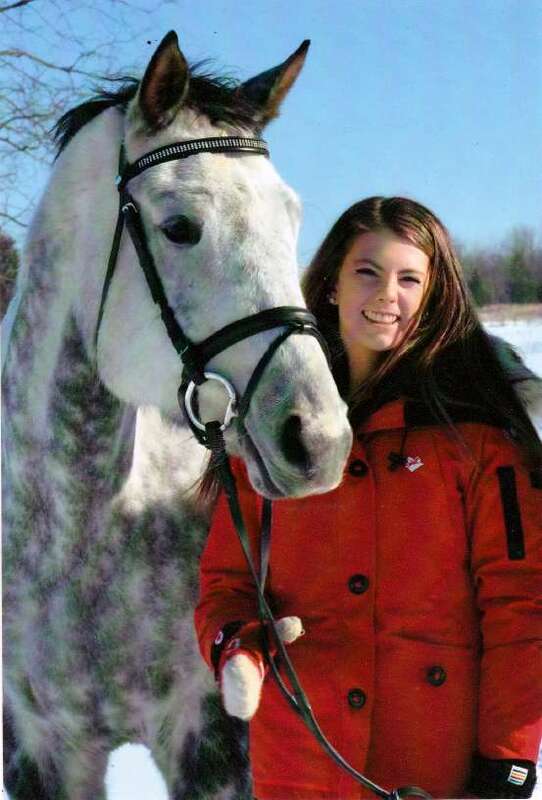 Nathalie, 17, OF Cherry Valley, ON, is a working student of Penny Rowland, and is competing two Horses this season at the Training and Preliminary level. In addition to receiving a $500 cash bursary, Eventing Canada [!] is also providing two entries in the 2015 Clinic Series, which includes Lucinda Green, Blyth Tait and Pat Burgess at Eventing Canada [! ]’s Training Centre in Tottenham, ON.